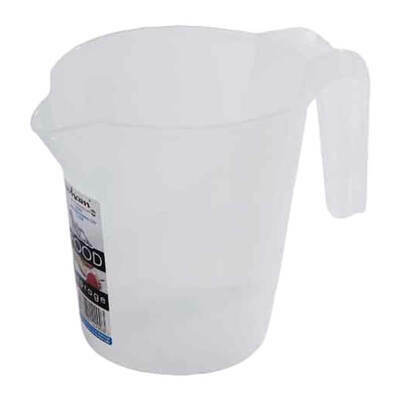 Perfect for all your catering needs, our Measuring Jug can be used for a range of different events. The simple design lends itself to both everyday use and occasional use - as you see fit. The entire jug is constructed from a white translucent plastic for durability. It is lightweight and easy to clean with a measuring gauge down the body of the jug. It can be used to distribute a range of different liquids from juices through to cooking sauces and gravy. The large handle on this measuring jug is comfortable and reduces the risk of slipping or spills during use.